I've been wanting to write this post for a long time. And while it might not be one of our most interesting posts, I think it's information worth sharing. WHAT do we use? HOW do we bake? What about the rest of the stuff... the oil, the eggs, etc. The moral of the story (which you're reading before you even hear the story) is use the best you can. I'm not advocating becoming a baking snob and spending a fortune on all your ingredients. But find the best product for your challah. 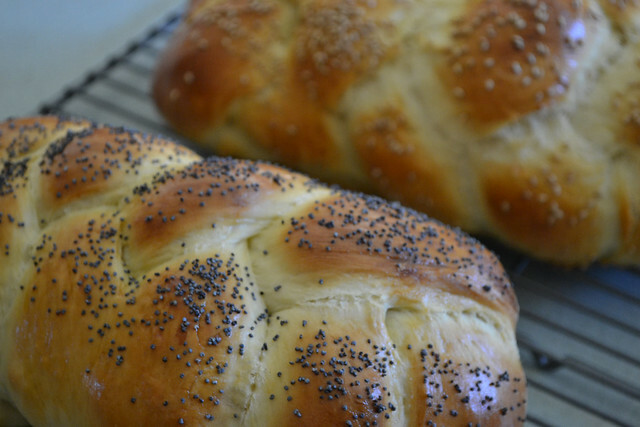 Challah is special, and Shabbat is a special day. Don't go crazy, but find things that make a flavor difference for you... and enjoy them! I've blogged before about flour. My mother-in-law, who lives in New England, is completely sold on King Arthur Flour which is made in Vermont. And... she completely sold me. It's wonderful. The challot we make with it really, really, really turns out better. Right now, I'm still buying Gold Medal Unbleached All-Purpose Flour, for things like cakes, scones, and muffins. 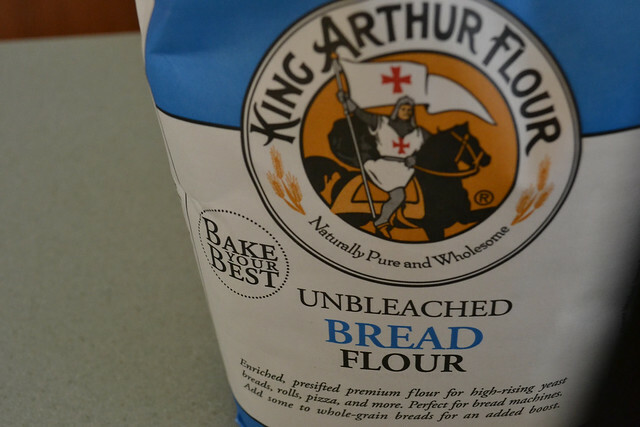 But for Bread Flour (which I use exclusively for my challot), I always use King Arthur. I strongly suggest getting on the KAF mailing list. They have great sales (recently 29 cent shipping on February 29th) which make the product just as cheap if not cheaper than your grocery. PS: King Arthur has compensated me for writing the above. They probably don't really know that I exist. I just really, really like their product. 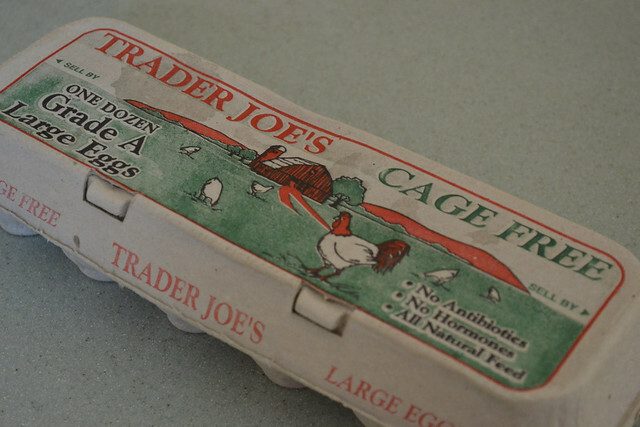 We always buy cage-free eggs in our house. The Humane Society of the United States states that... "while cage-free does not necessarily mean cruelty-free, cage-free hens generally have significantly better lives than those confined in battery cages. The ability to lay their eggs in nests, run and spread their wings are tangible benefits that shouldn't be underestimated." I go back-and-forth on yeast. 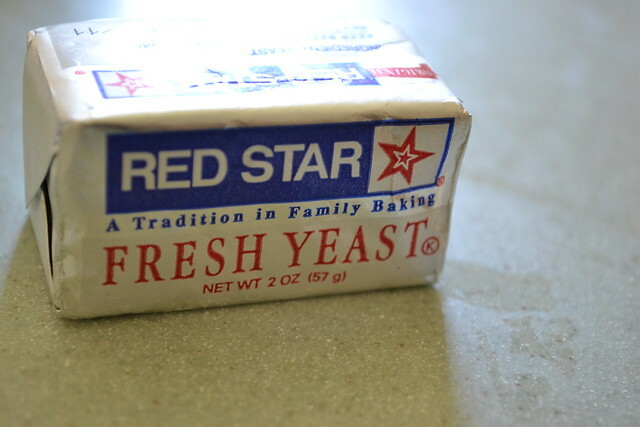 I really, really, really like fresh yeast. Honestly, quite recently I've been back on using active dry and/or instant yeast. Our grocery store had a few particularly bad batches of yeast that were either moldy or just didn't rise quite right. If you're a newbie, active dry or instant are your best bet. And if you're a purist, active dry or instant might be your best bet. One thing I do really like about fresh yeast is how quick it works. My initial rise time can sometimes be as short as an hour. Oil extraction is actually a sort of interesting and scary concept that I don't completely understand. 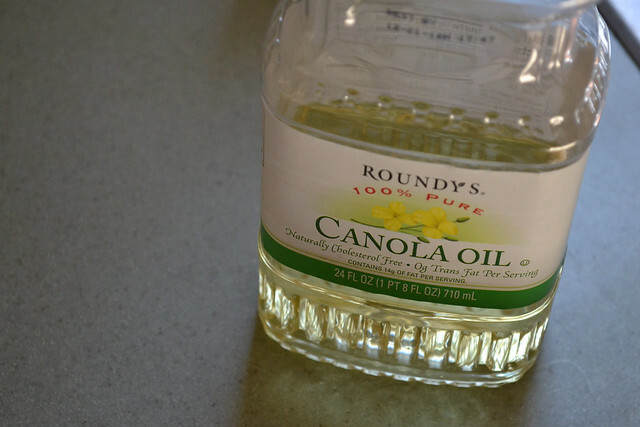 In regards to neutral oils like canola or vegetable oil, it doesn't matter that much. In general, cold pressed is idea, expeller pressed is a lesser but still okay option, and oils extracted through chemicals are the worst. I don't really get it, and reading about it kind of freaks me out. Oil is not good for you. Use it sparingly. That's all I got, folks. We sometimes use sea salt and sometimes use table salt. Make sure to always pre-mix your flour and salt together. Salt kills yeast, so you don't want to add it directly to your yeast slurry or as the first dry ingredient after the oil and eggs. At the very least, plop in a cup of flour in your bowl and then add the salt on top. This is a complete personal preference. 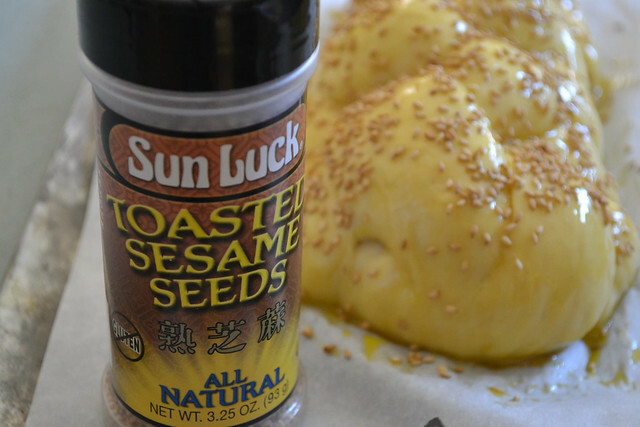 One thing we found that we really like are toasted sesame seeds. One can definitely toast their own sesame seeds, however we really like these from the Asian food aisle at our local grocery store. The toasting really makes a big difference. I LOVE my insulated baking sheet. I find it keeps the bottom of the challah from getting too dark, and the rise is all-over great. I always use parchment paper because I like lots of honey drizzled on my egg wash. Clean up is a breeze, and you don't have to scrub at the crystalized honey. You can read about some of my adventures in oven-temps here. We arrived to Madison, Wi from Santiago de Chile few months ago. Now I'm reading you recipe aloud to my wife, while she is busy with the dough and the eggs. 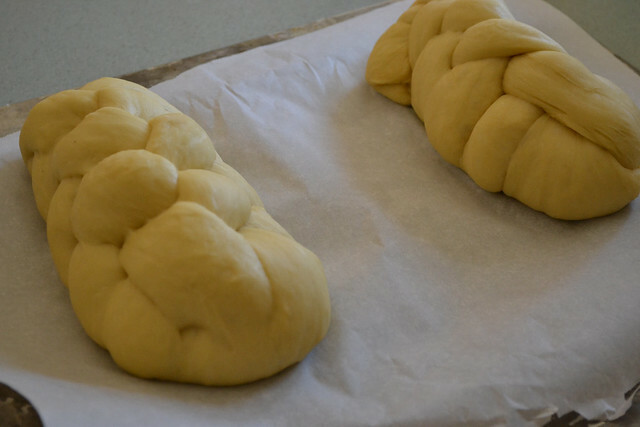 Minutes before we had we asked, Will there be another way to make challah? With spices?, And Zaz! your blog appeared. We loved you description. Especially that of "Before They Were married, the Mrs. had never made ​​a challah in her life ..." For us the same. Now you have new followers. Thanks so much for your comments, and welcome to Wisconsin (we're over in Milwaukee). I'm so glad that you were able to find things. If you come up with any interesting recipes, please share with me. We love inspiration and fun new ideas. What do you think about the Artisan Bread in 5 minutes concept? Apparently they have a challah recipe in their first book. If you could buy a brand new mixer for Challah Baking which would it be and why? Thanks a bunch! Hi Morah Pam! We have a Kitchen Aid with bowl lift (as opposed to the more popular tilt version). I love it because I don't have to move it out from underneath the overhead cabinets, and I think it has more power than the tilt ones. I believe ours is a 6 quart, and it does great with up to about 8 cup recipes. It's the only machine I've ever had, so I can't speak to any other brands... we do make by hand when Yom Tov runs into Shabbat sometimes, and I think you can make great dough by hand too!